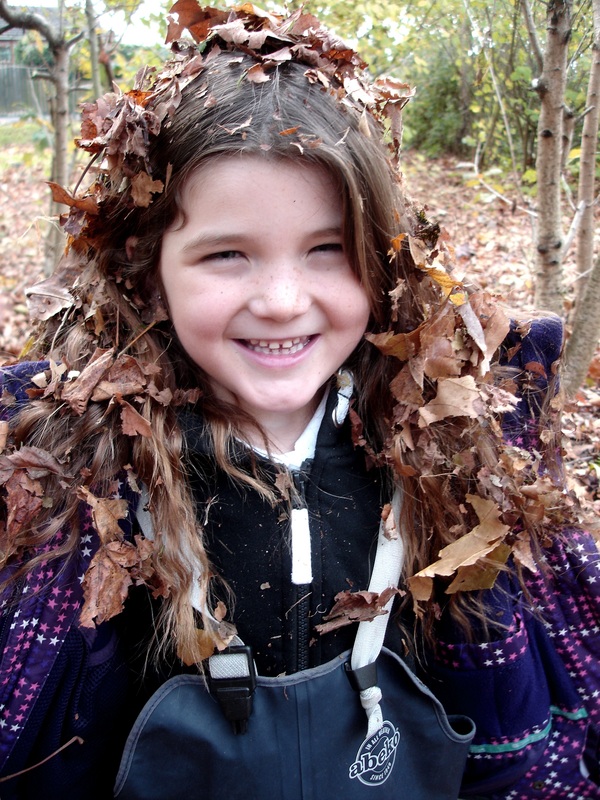 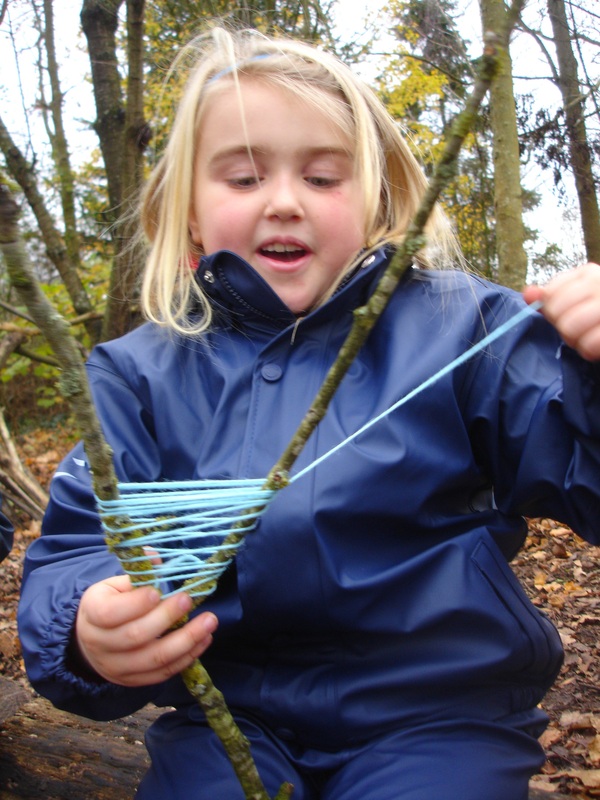 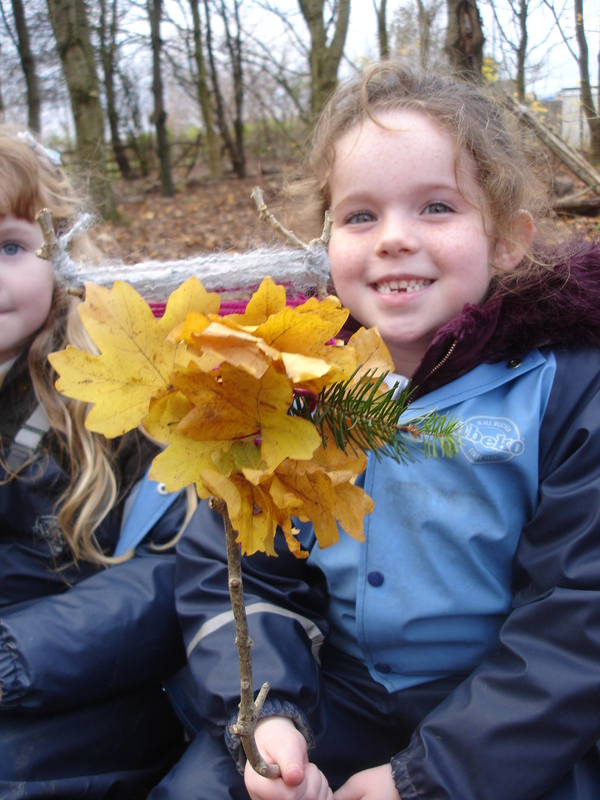 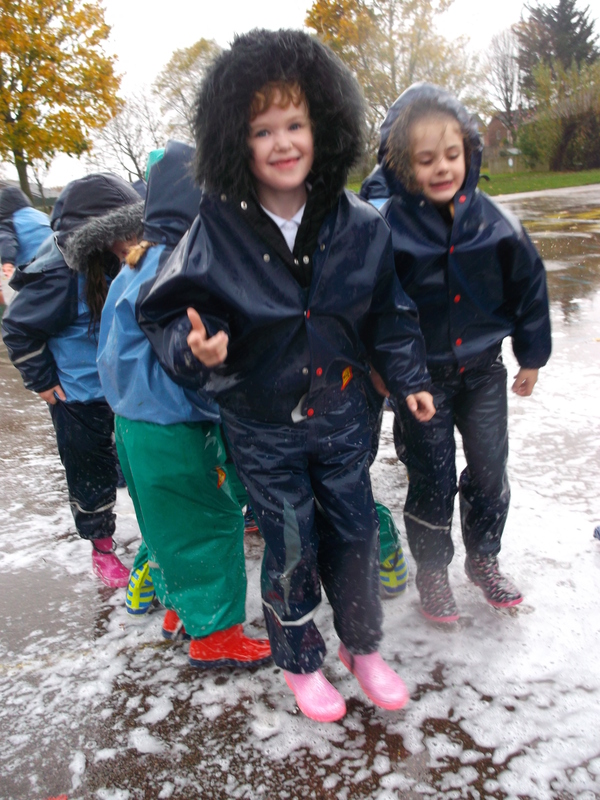 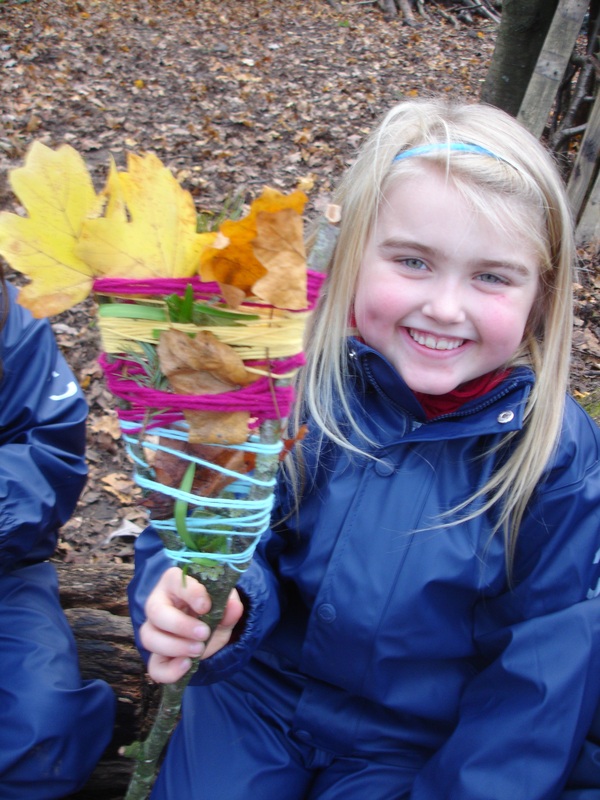 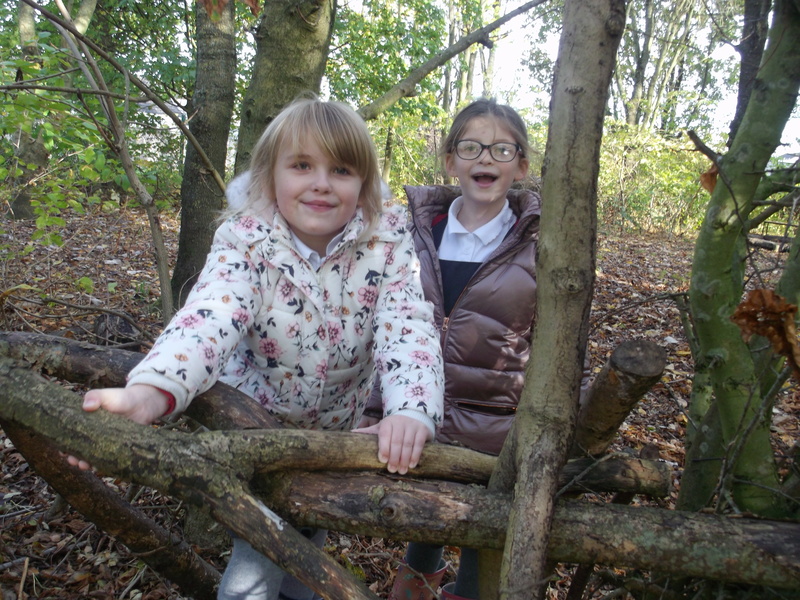 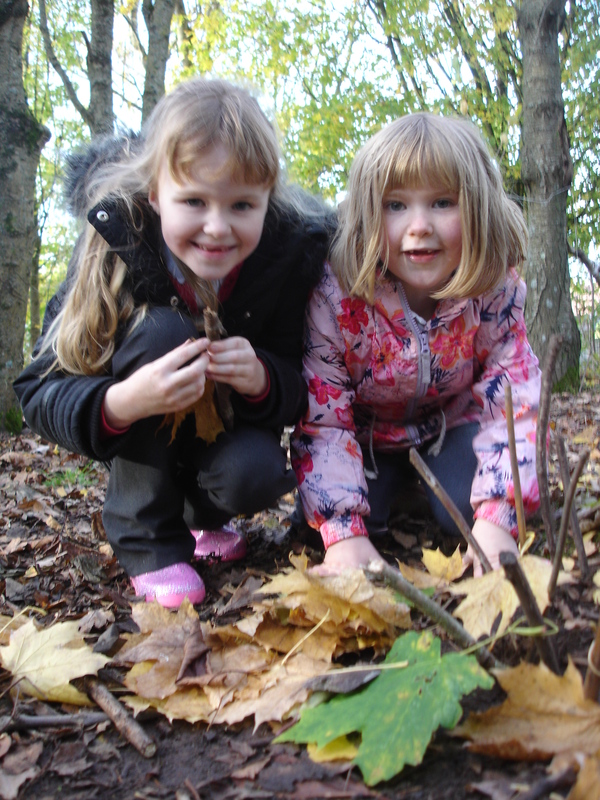 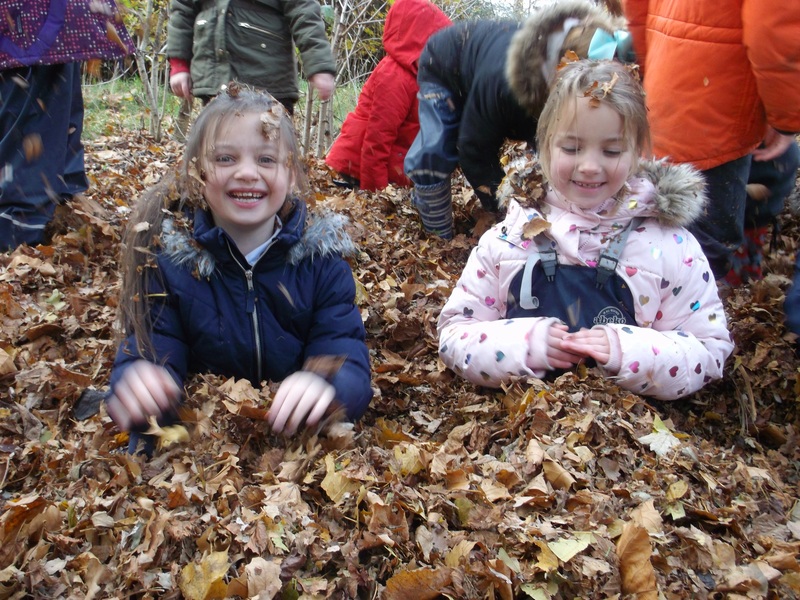 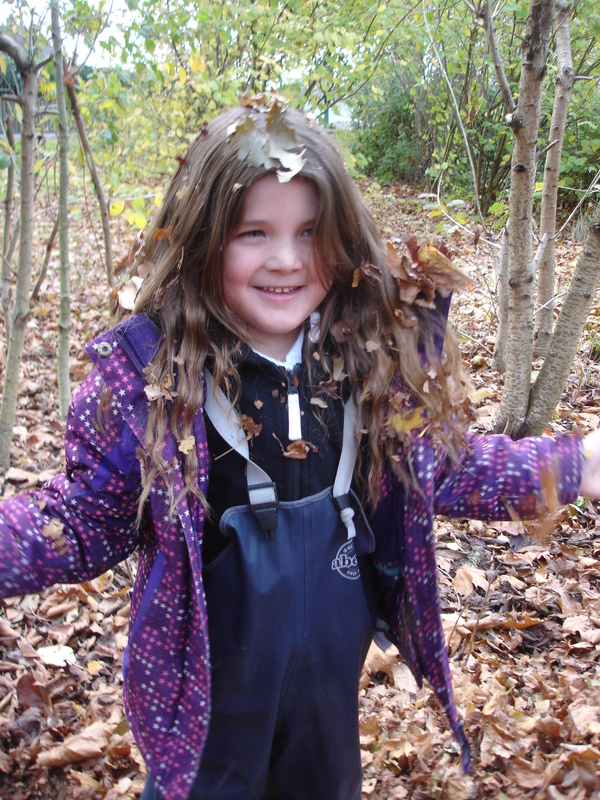 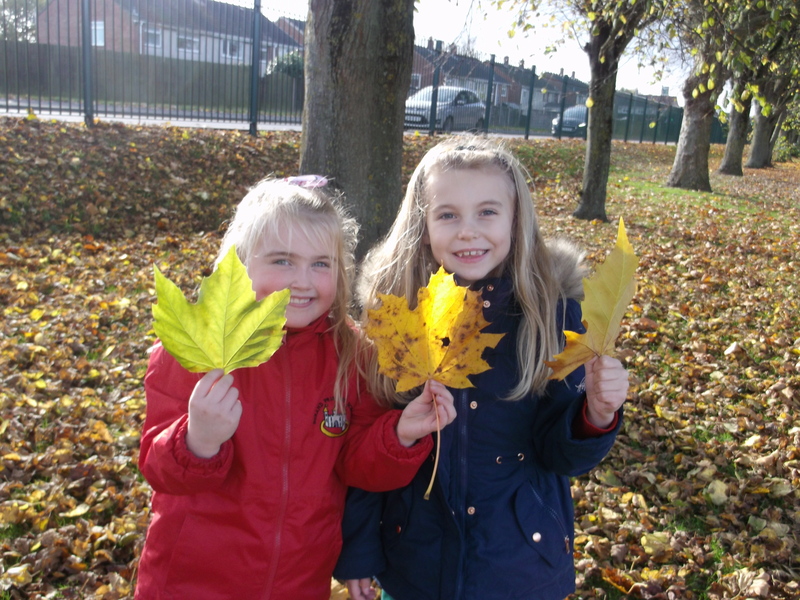 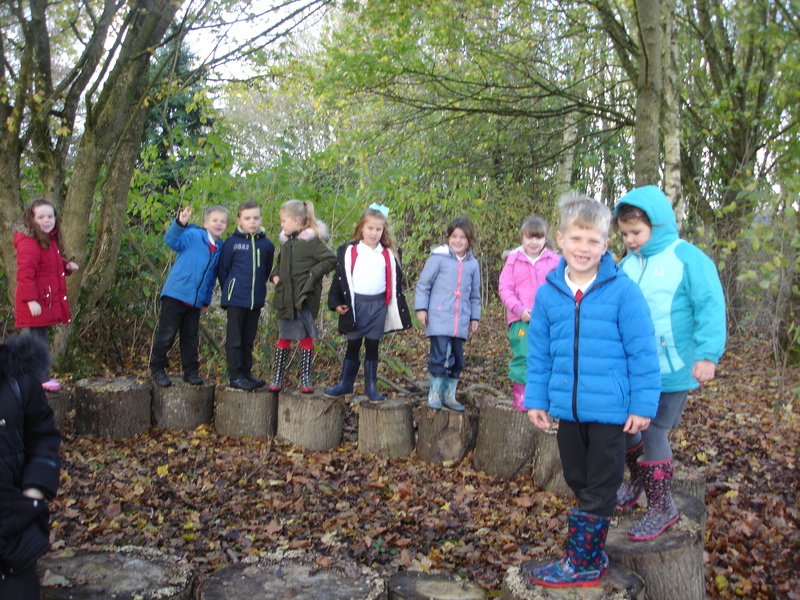 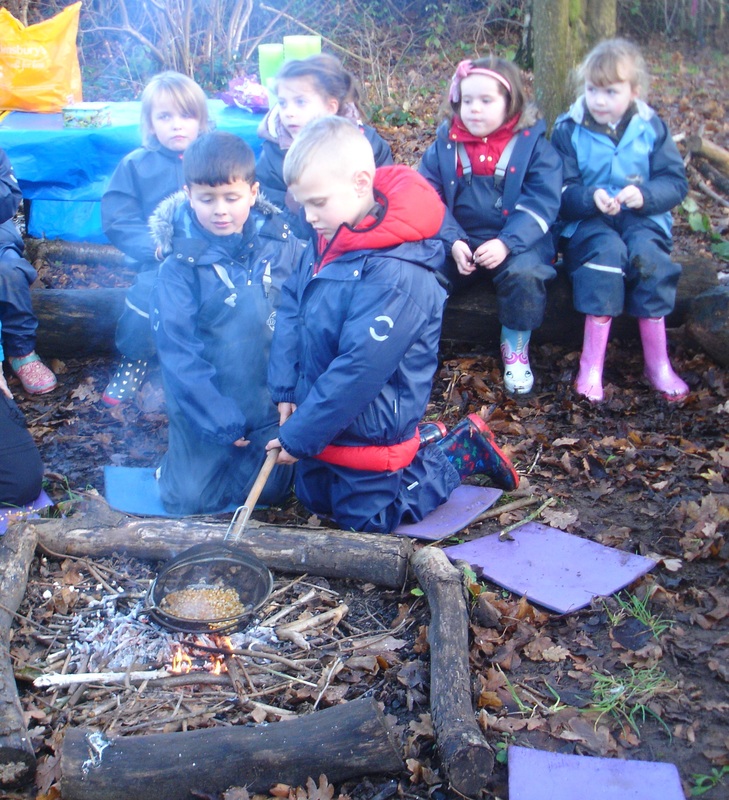 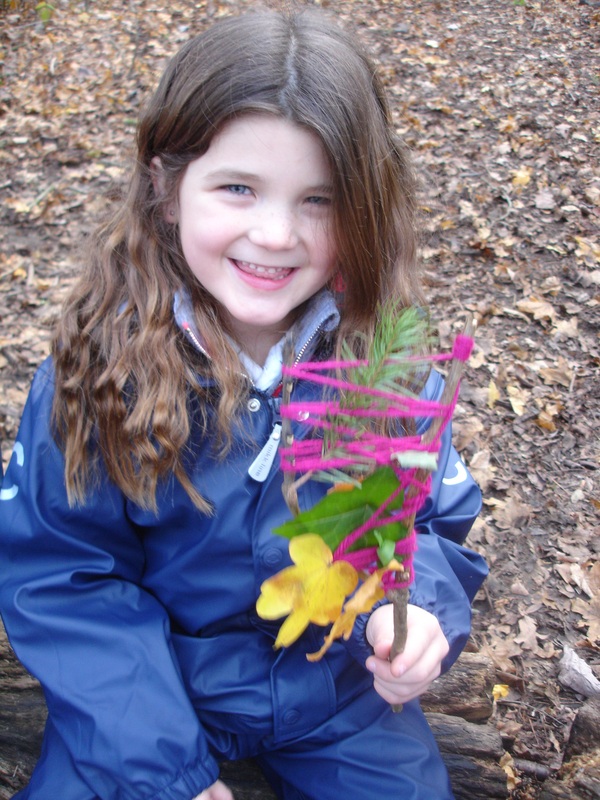 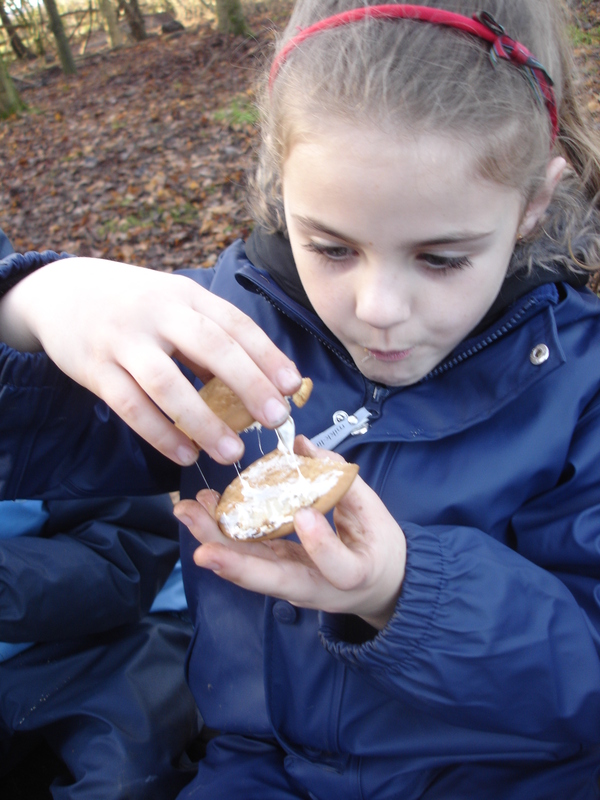 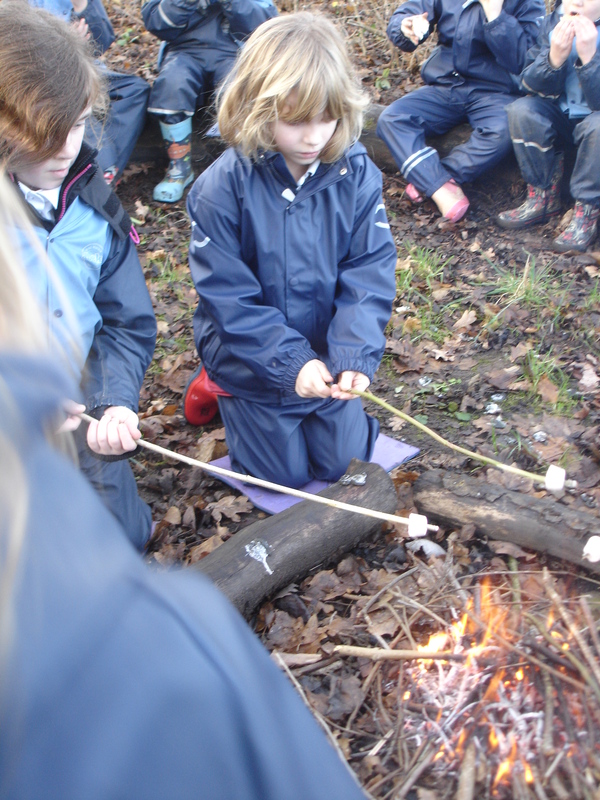 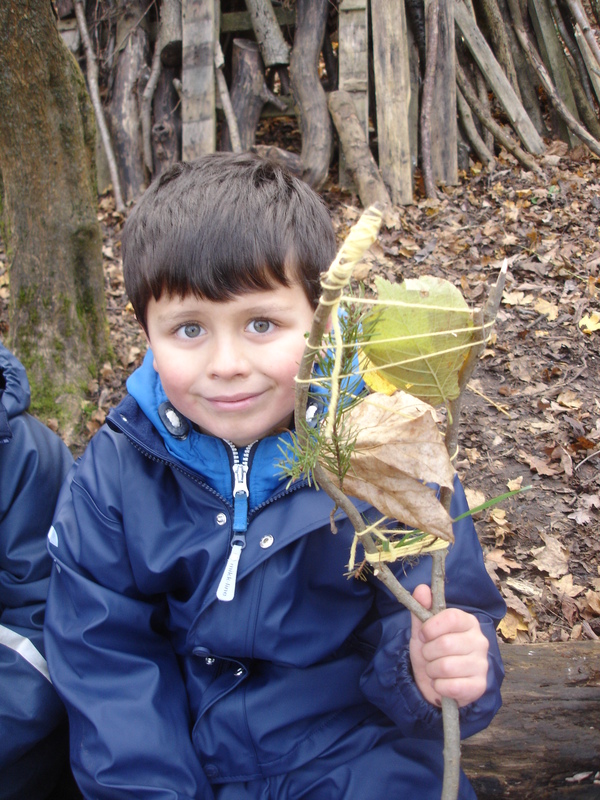 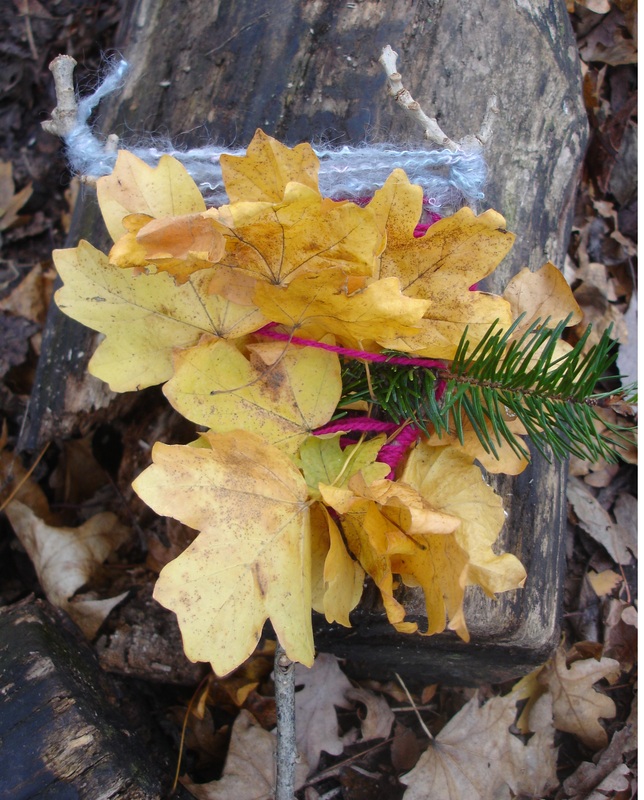 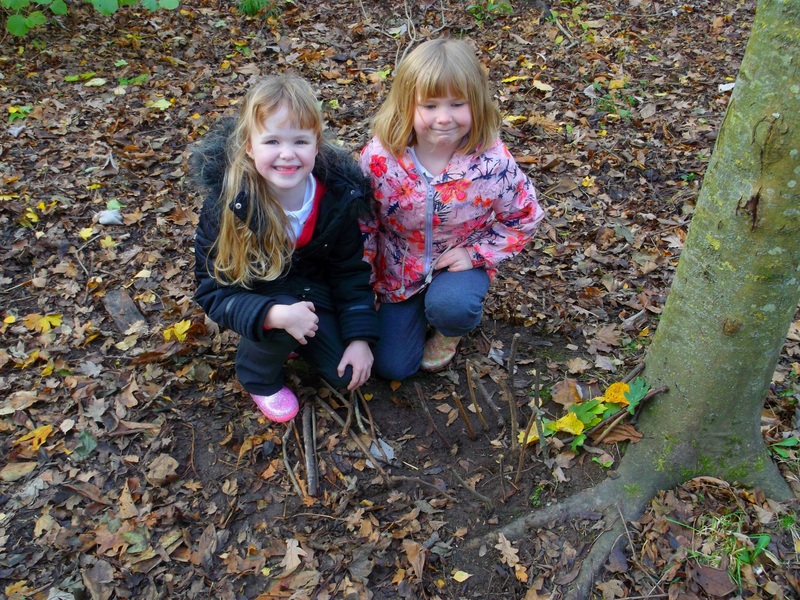 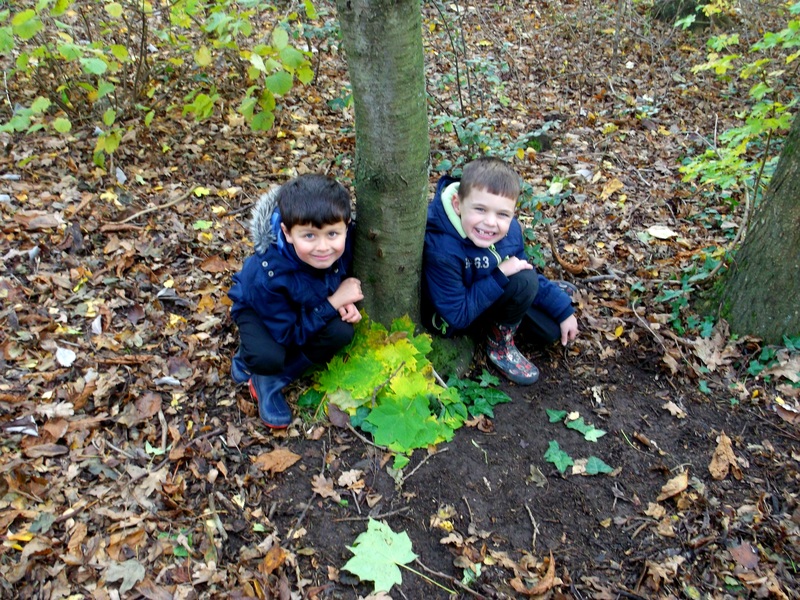 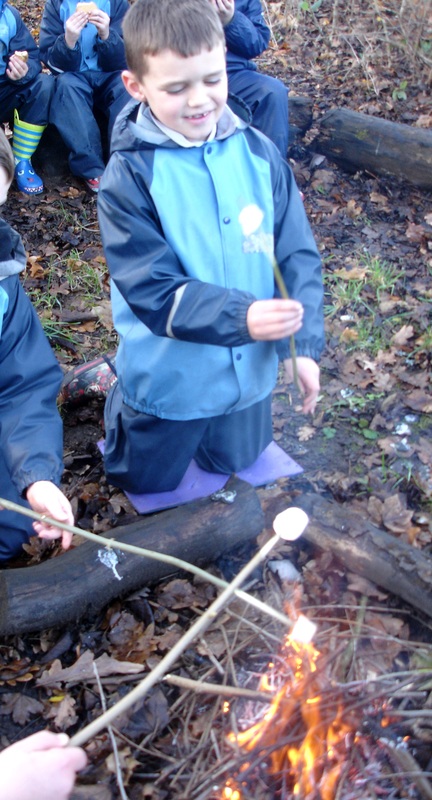 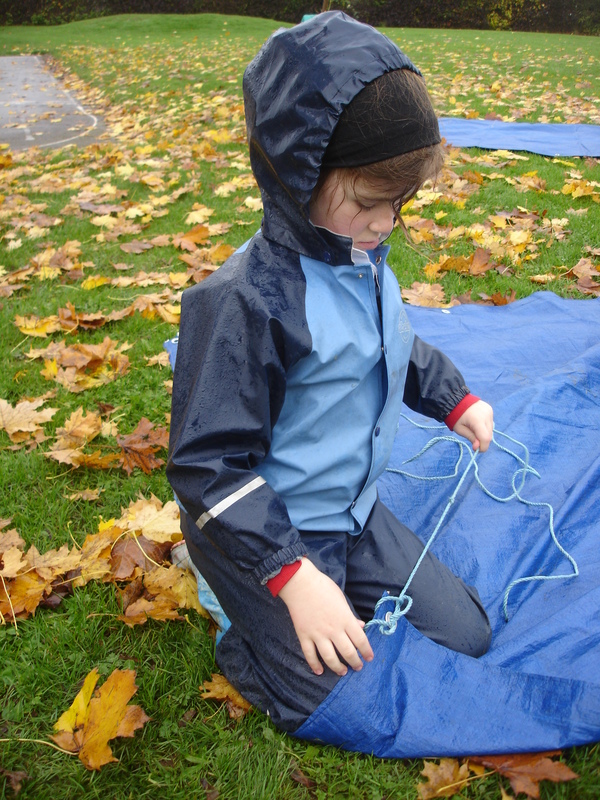 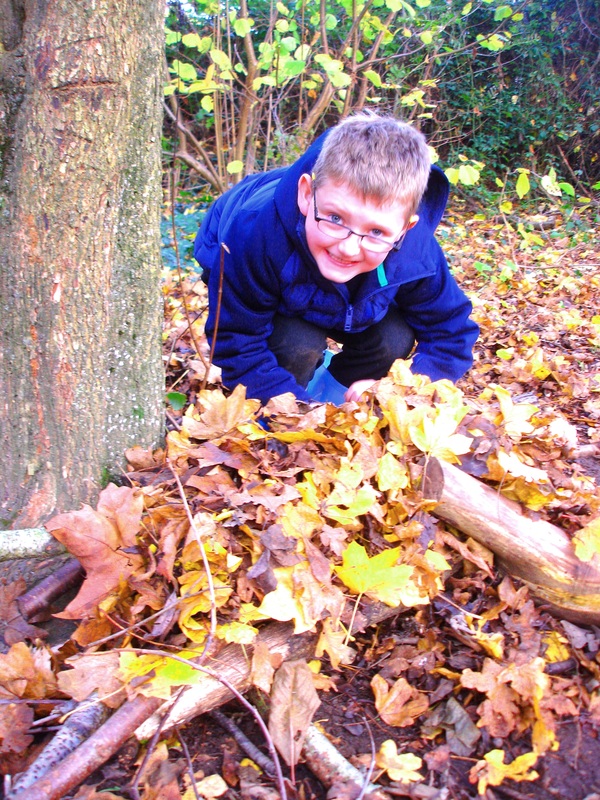 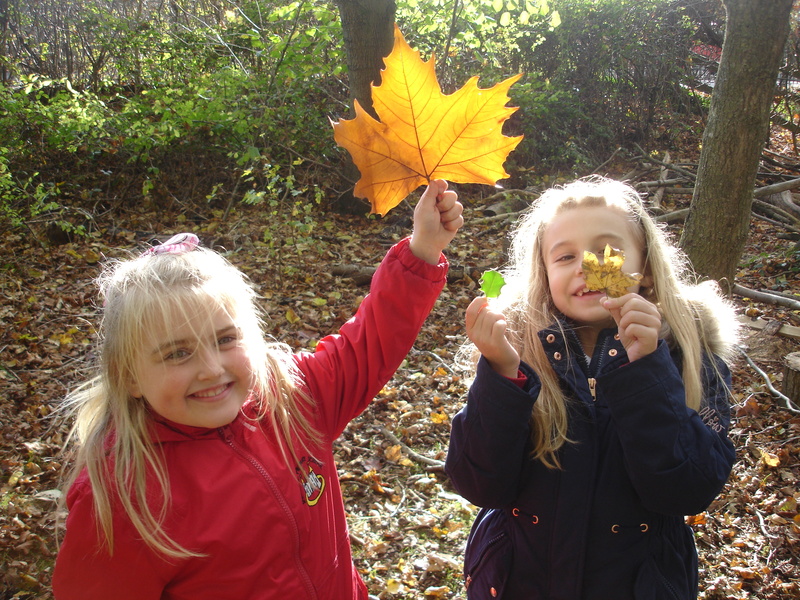 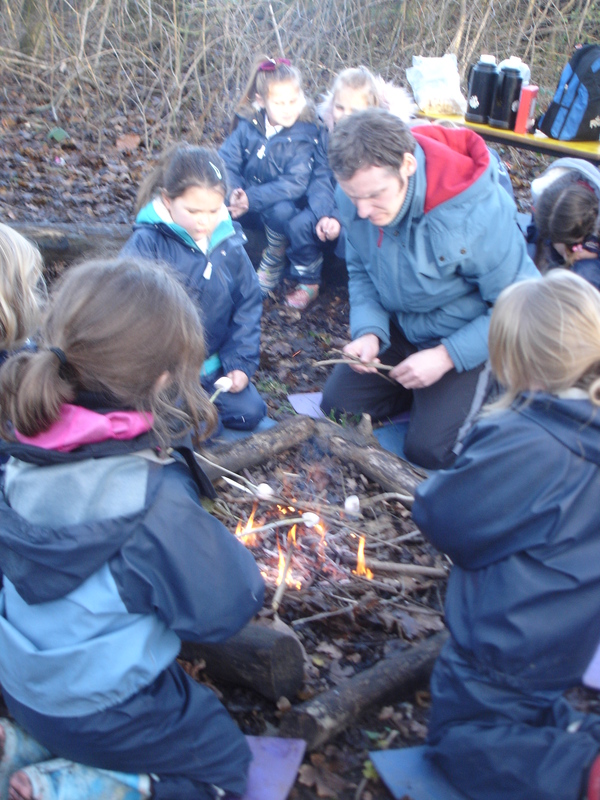 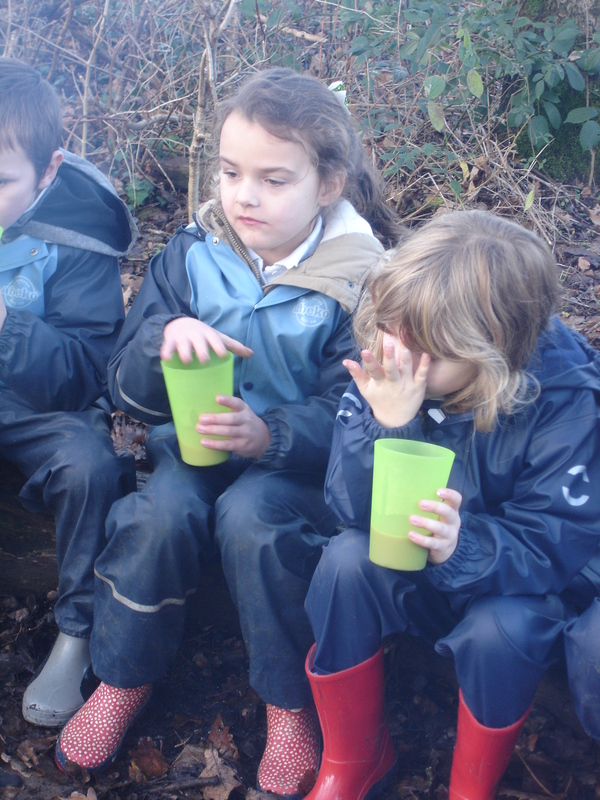 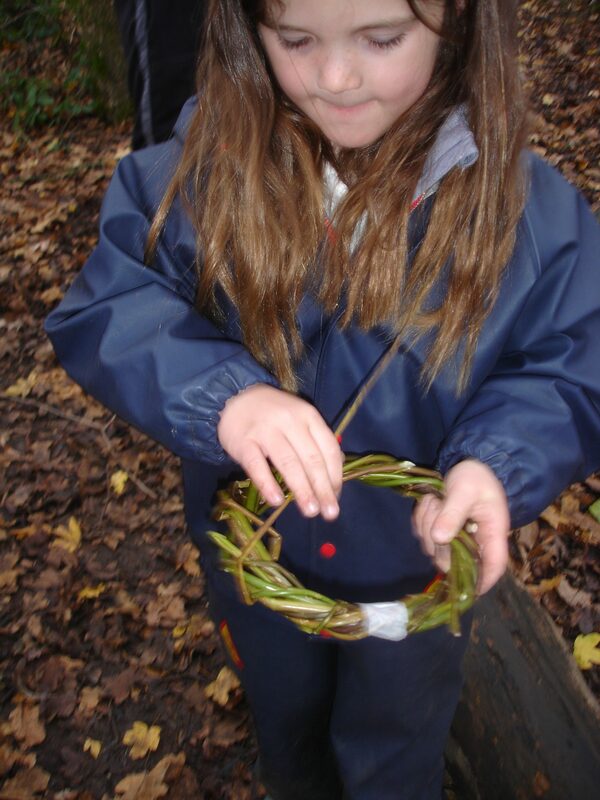 We had lovely weather for our first week of Forest School. 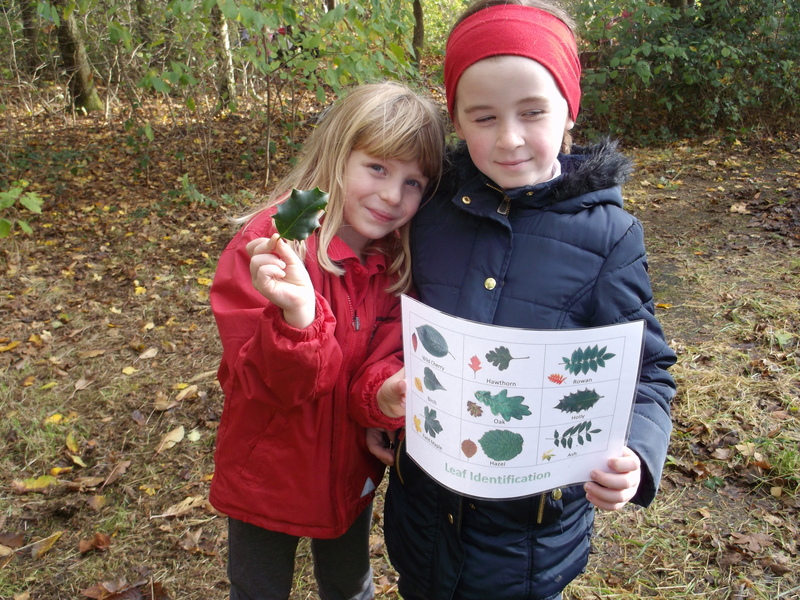 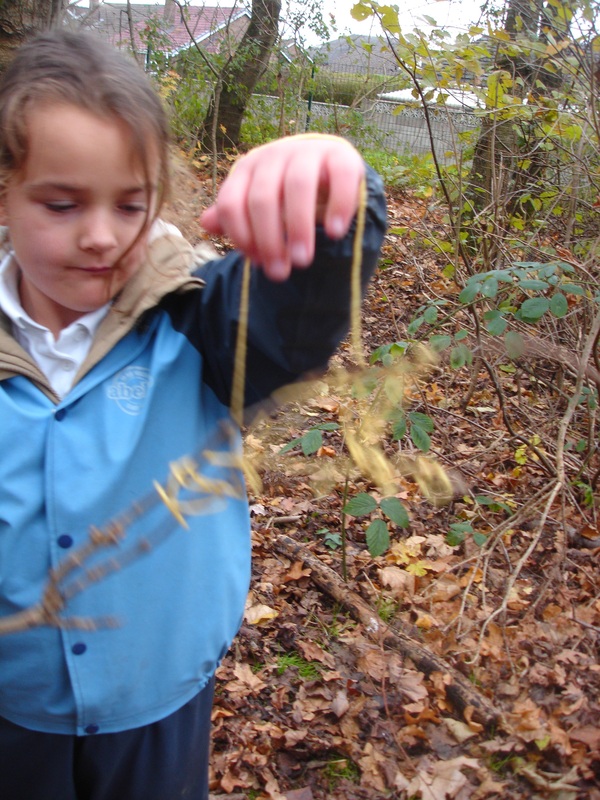 We explored the forest and spent time identifying the trees that grow there. 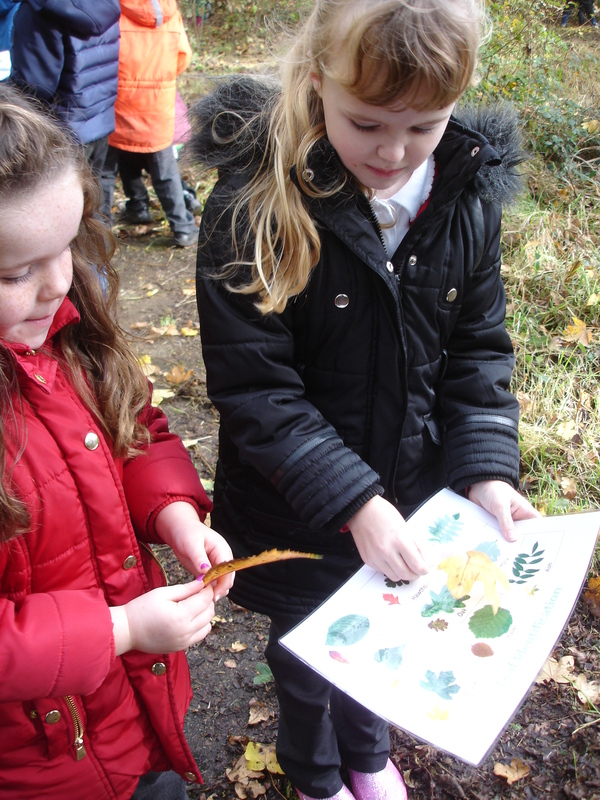 We used identification sheets to match up the leaves. 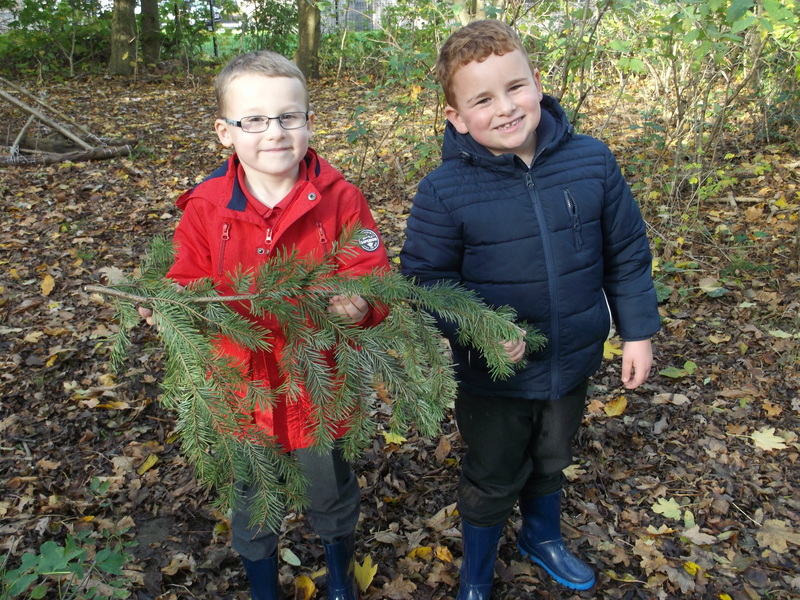 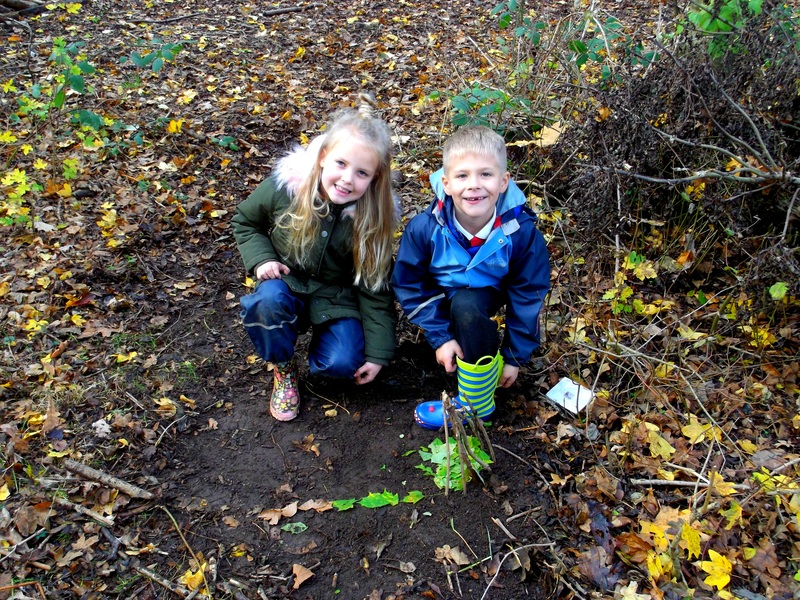 Why don’t you ask us what trees we identified when we come home? 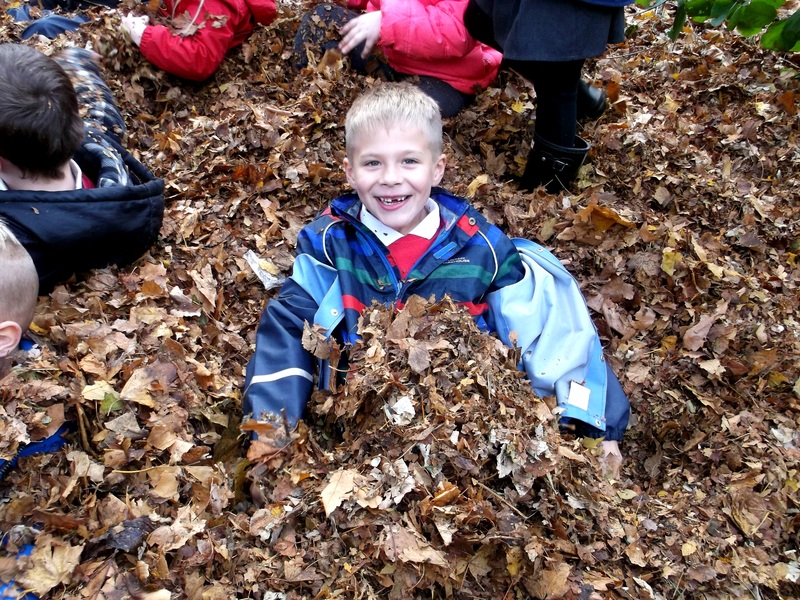 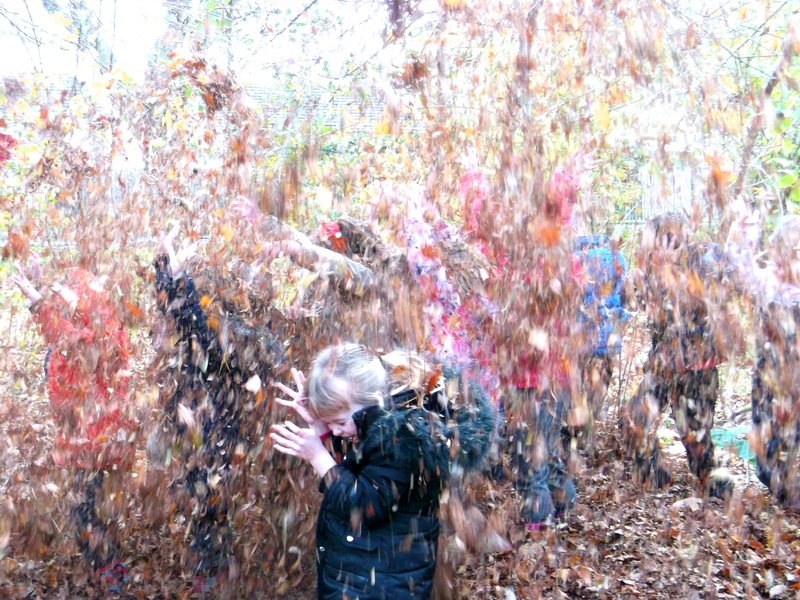 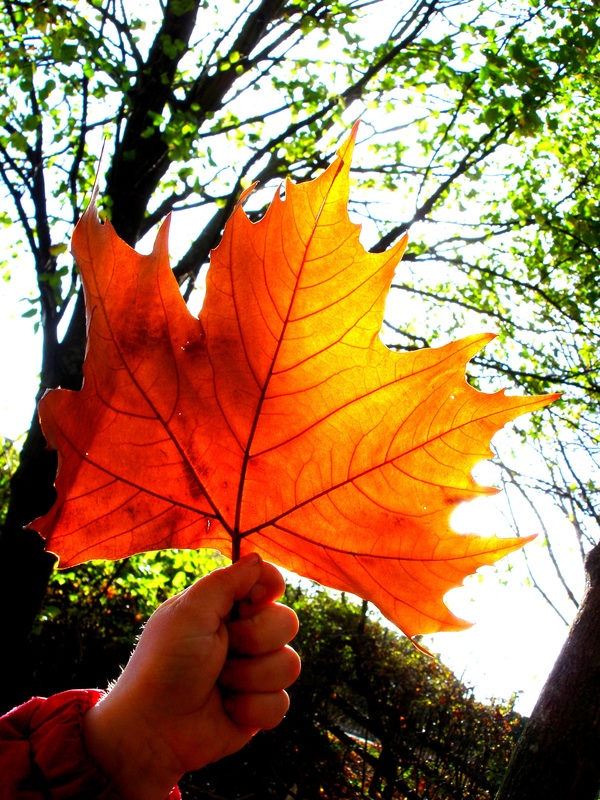 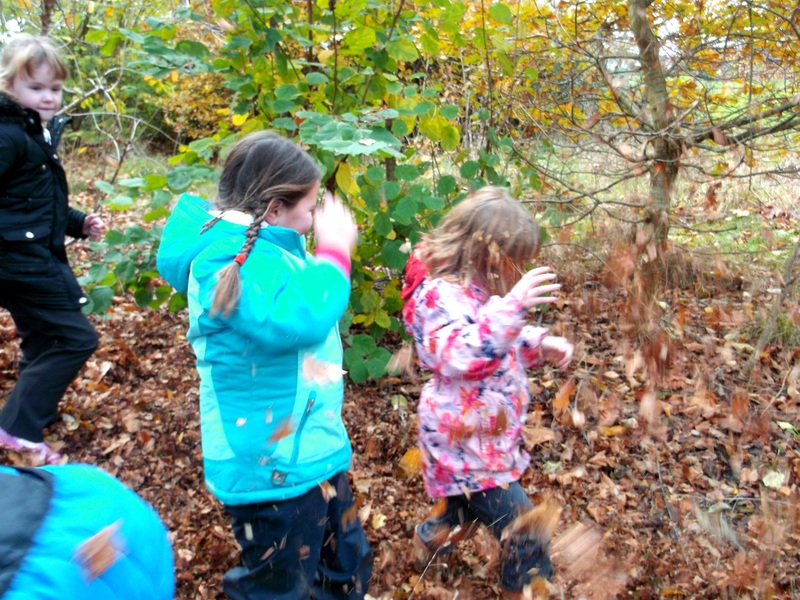 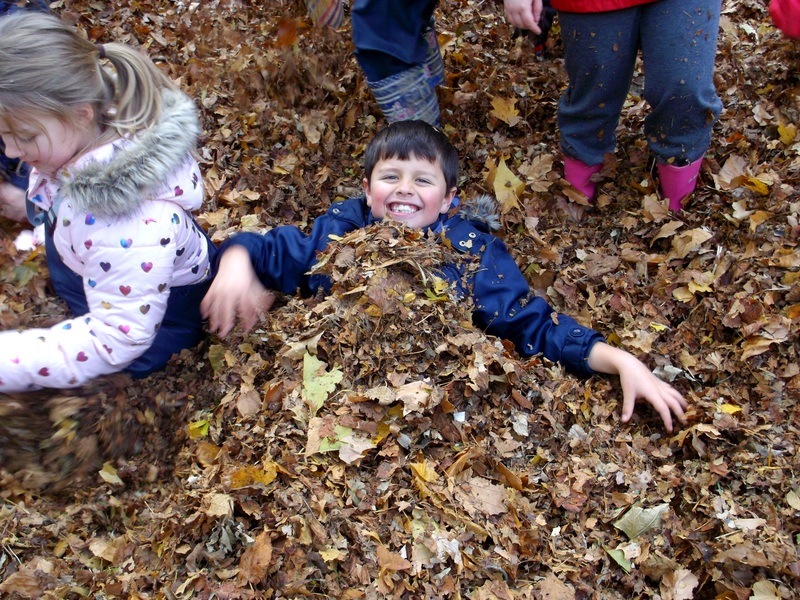 This week as we approached the forest, we spotted an enormous pile of leaves. 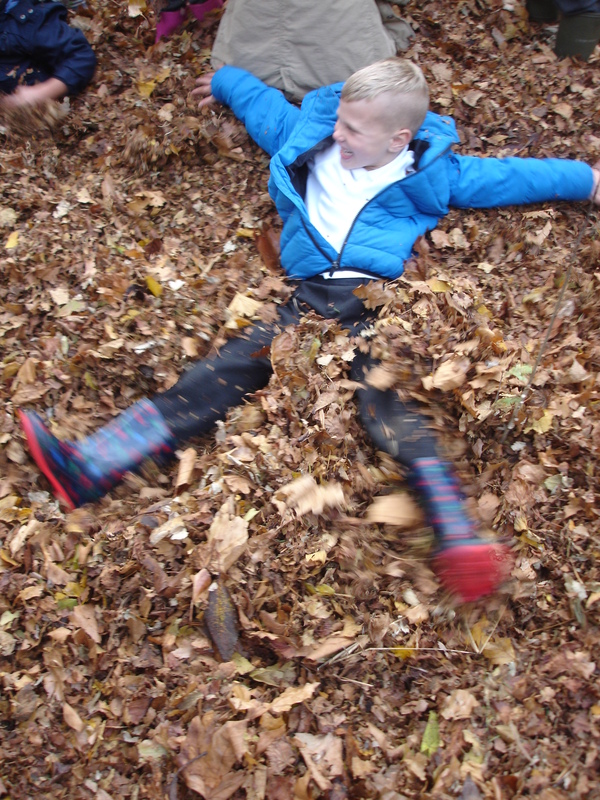 This was far too inviting, we could not resist playing in it! 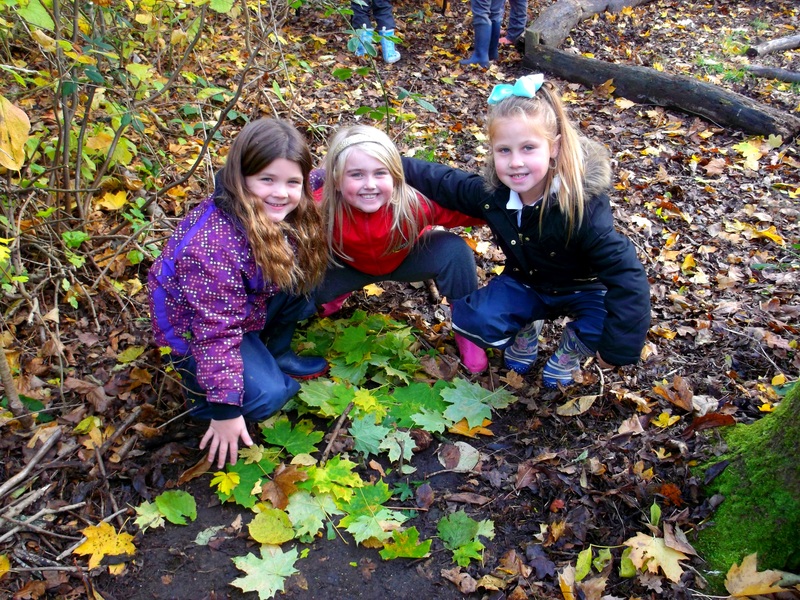 We learned about animals that hibernate and what they do to prepare for the winter. 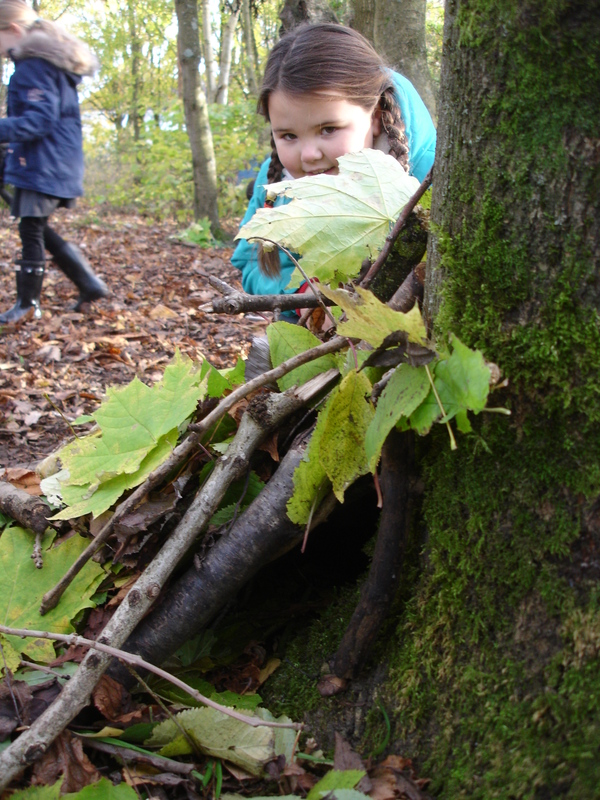 We built some cosy animal homes, just in case our small forest animals need a warm place to stay. 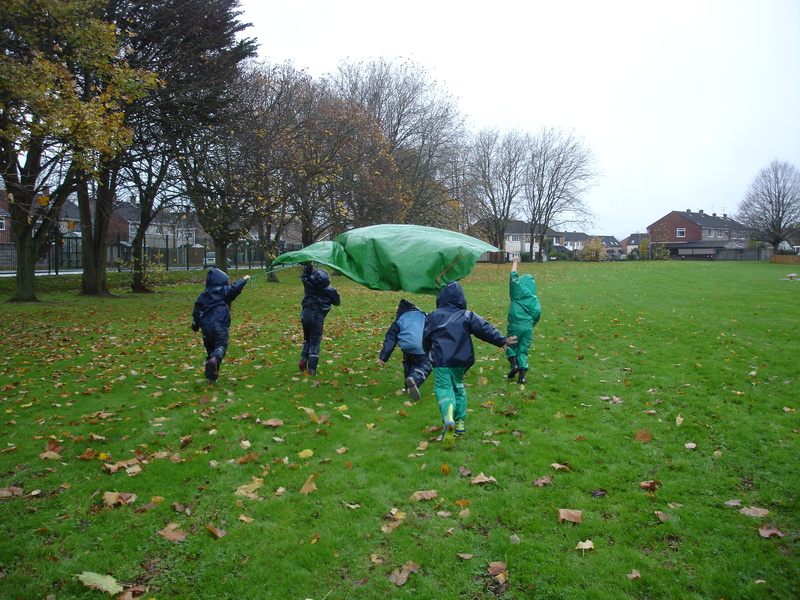 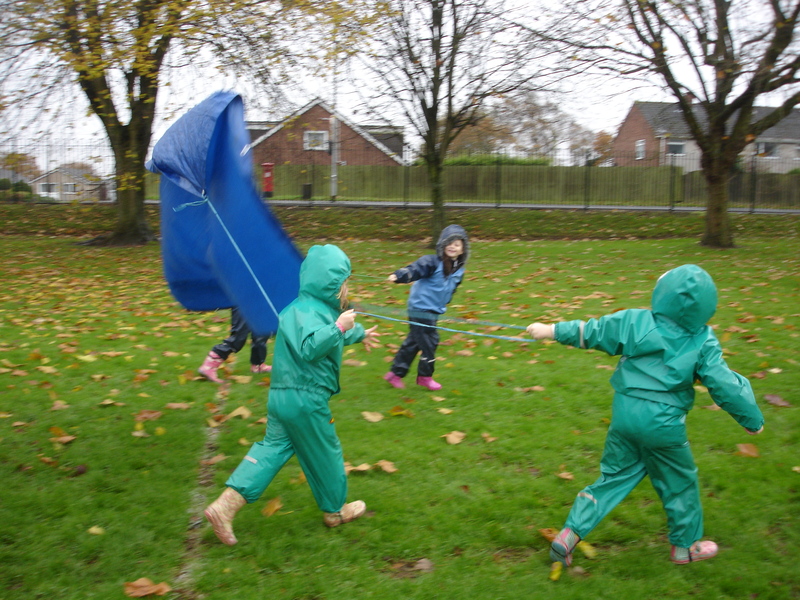 We enjoyed ourselves in the wind and rain today. 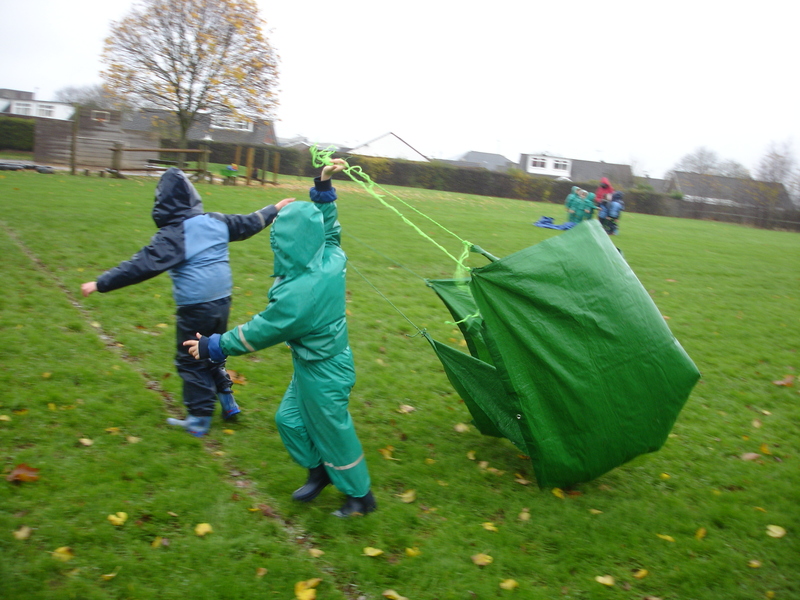 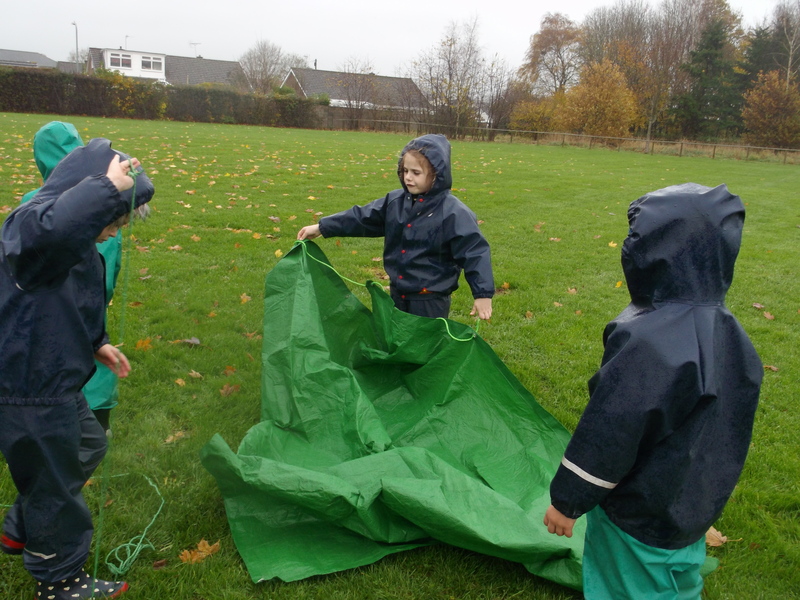 We worked as teams making parachutes to fly in the wind. 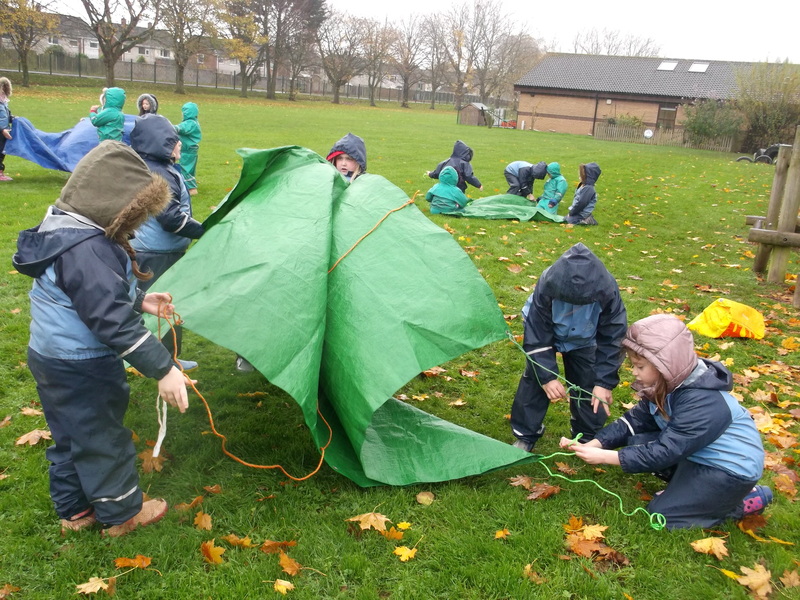 It took lots of patience, co-operation and problem solving skills. 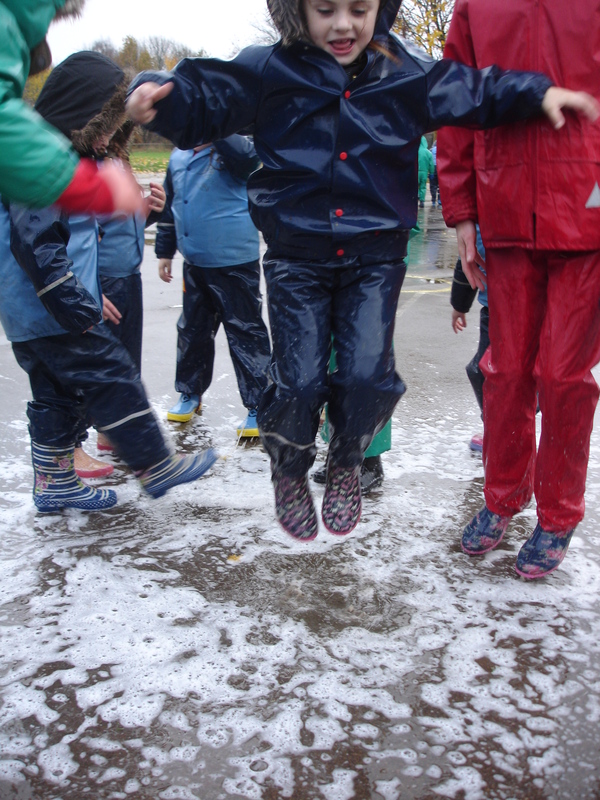 However it was all worth it when they took to the air! 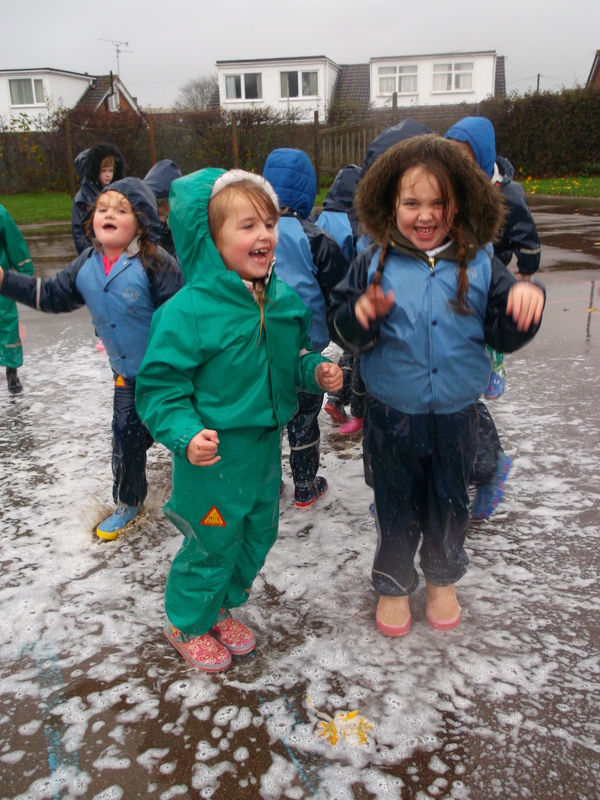 After that we were allowed to JUMP in the puddles!!! 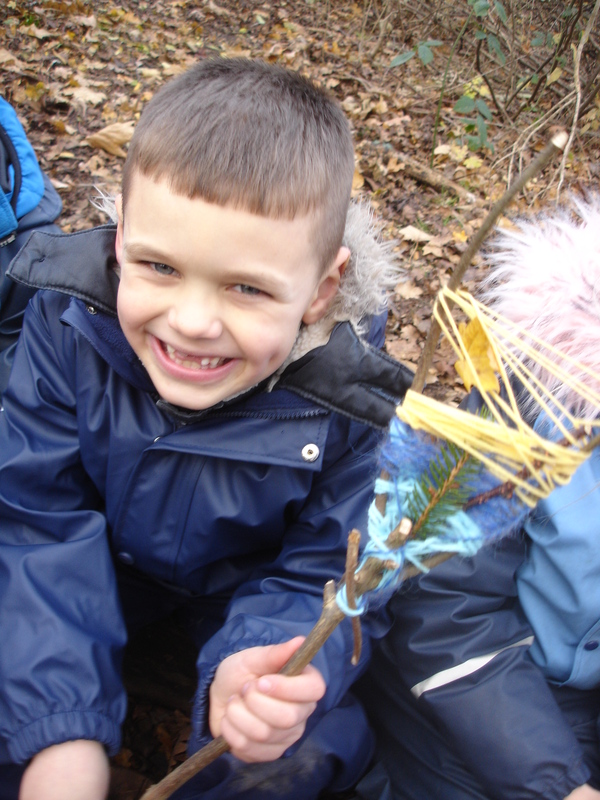 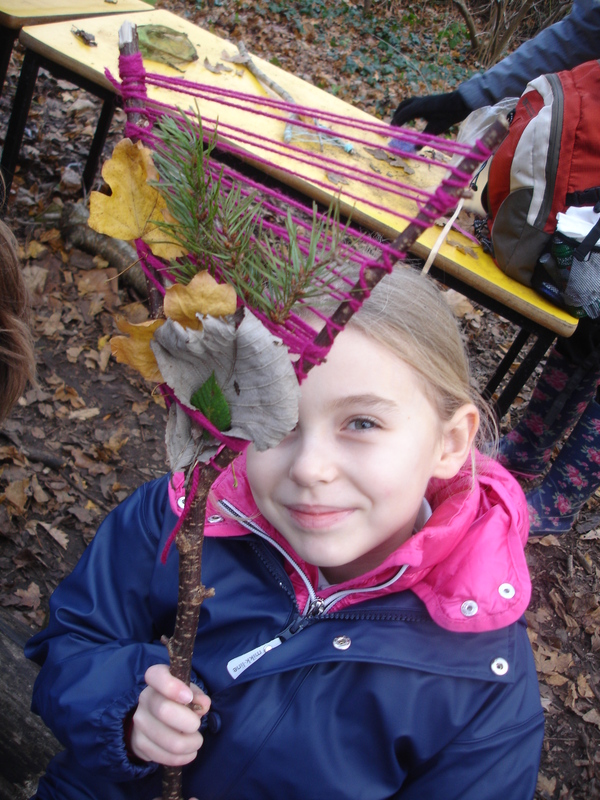 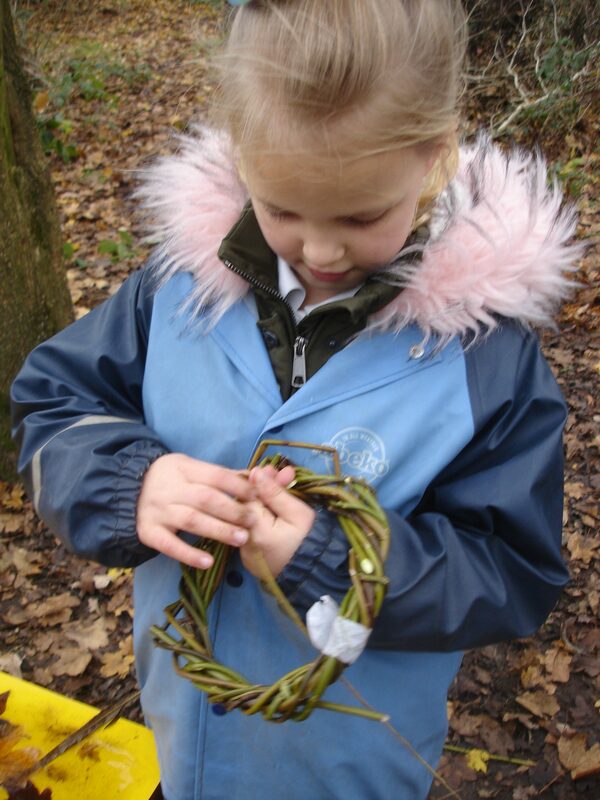 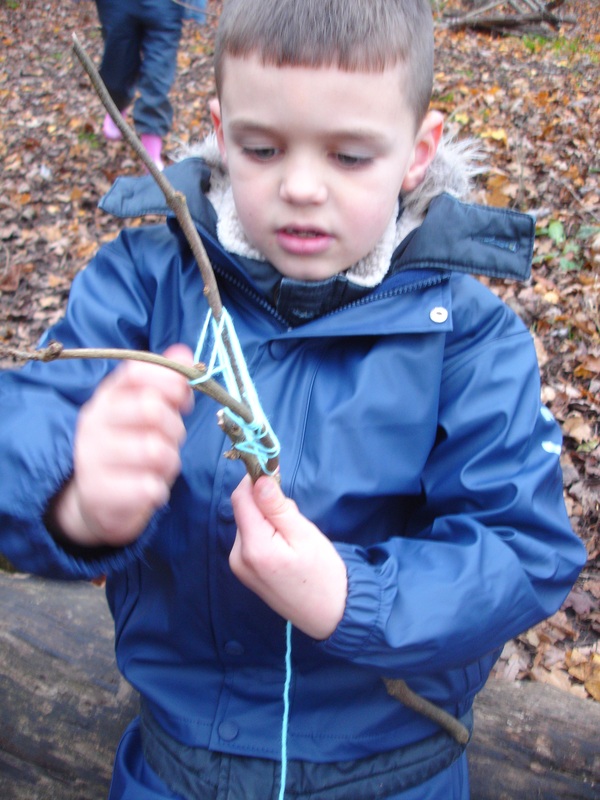 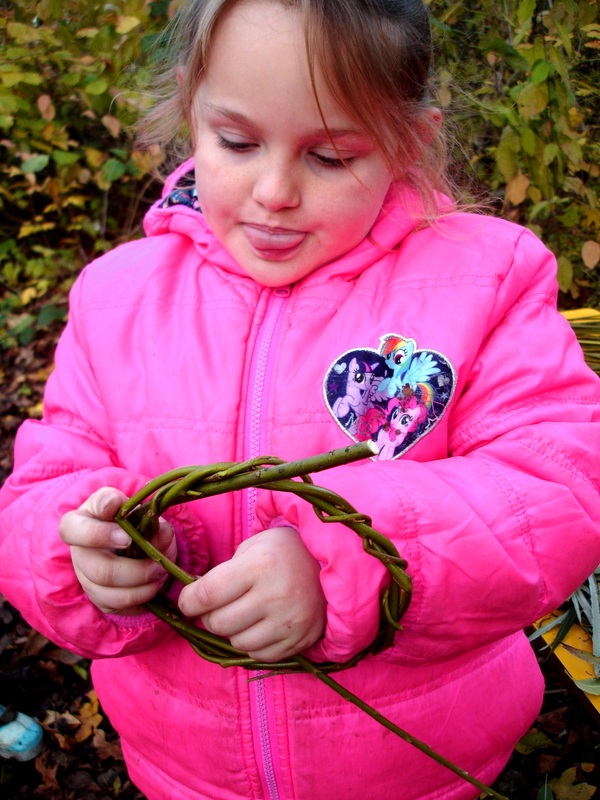 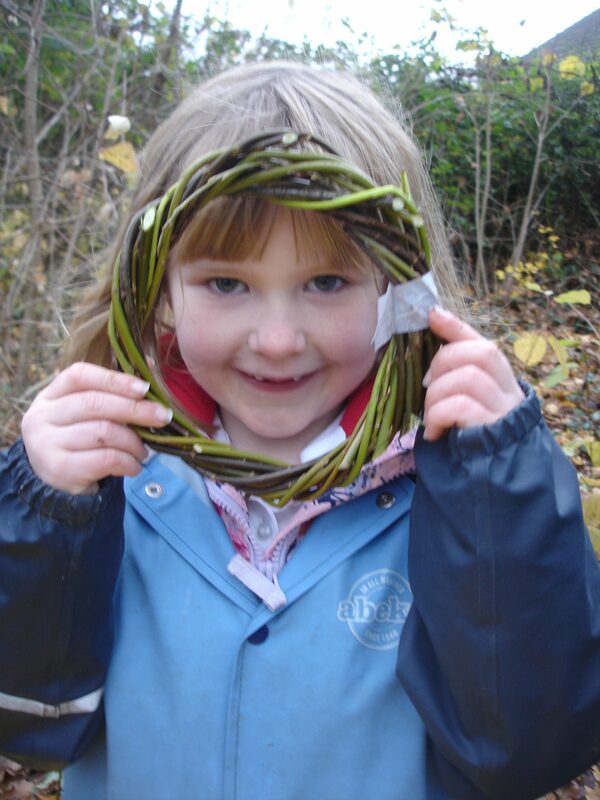 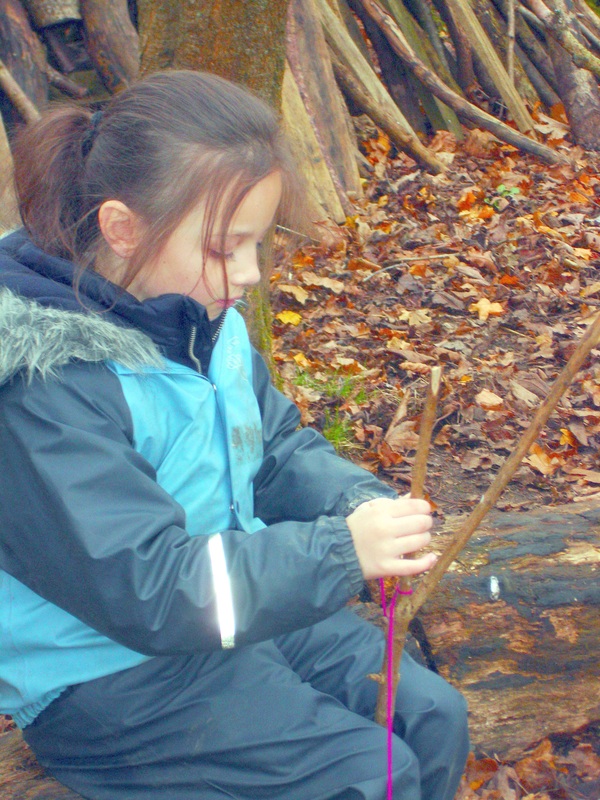 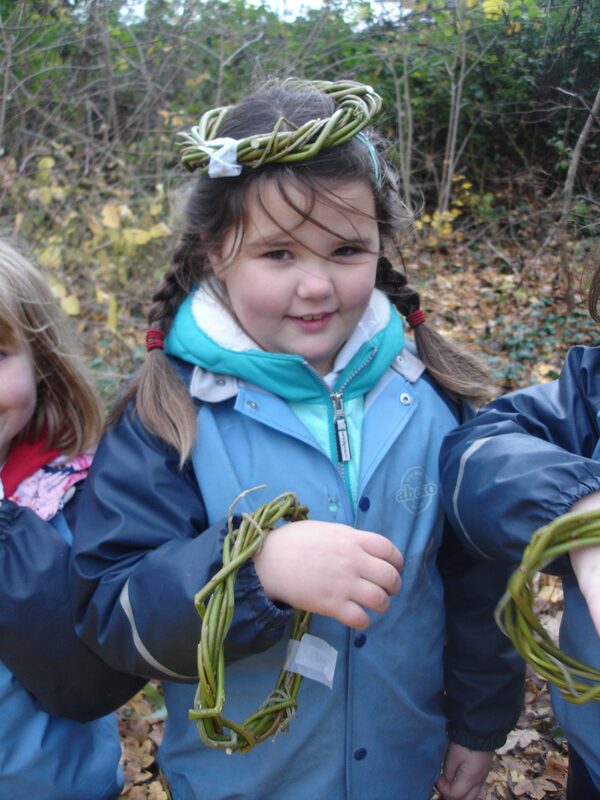 We braved the cold today to go on a mini beast hunt and to weave willow wreaths ready for Christmas. 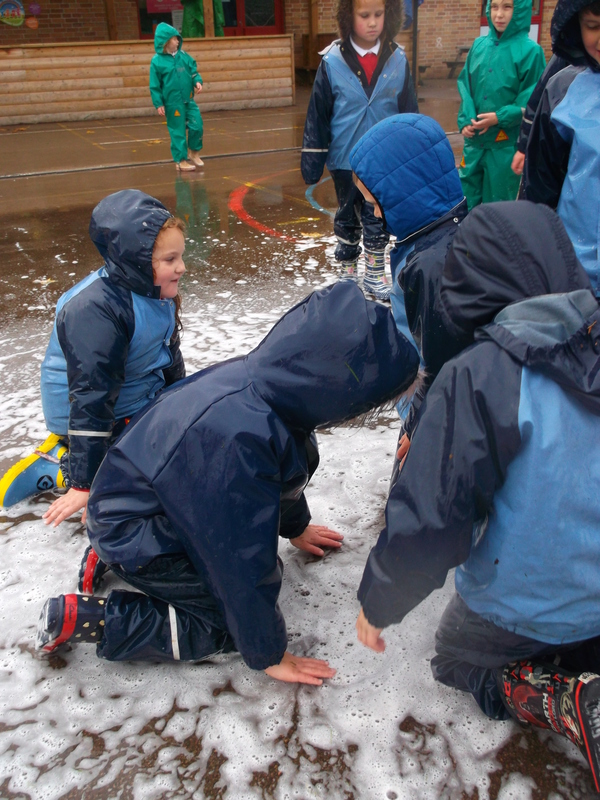 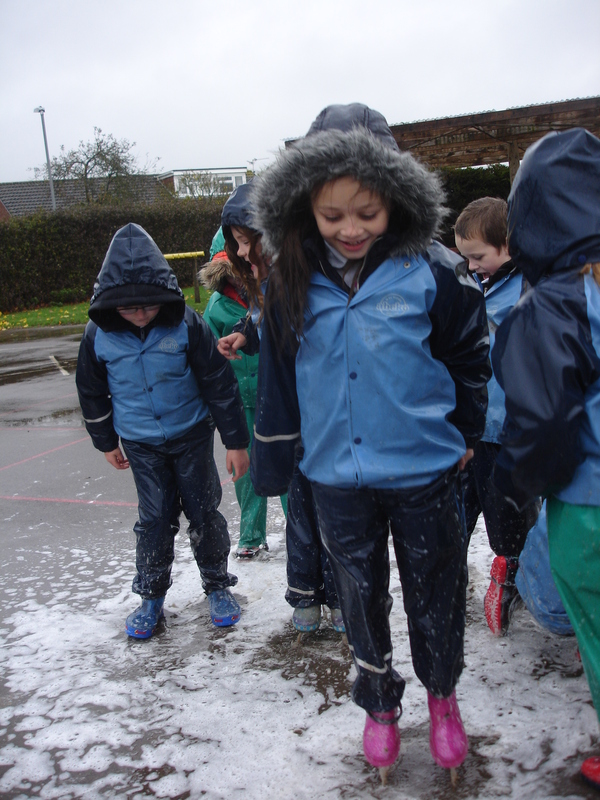 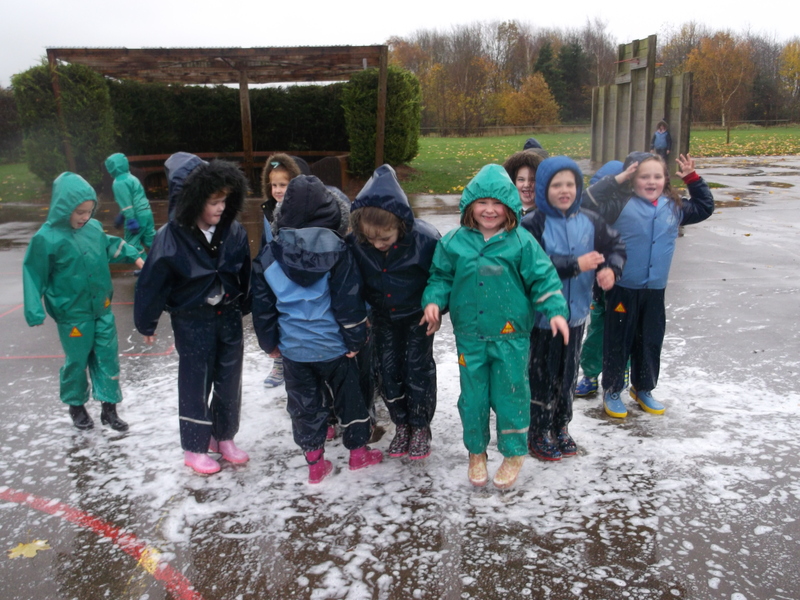 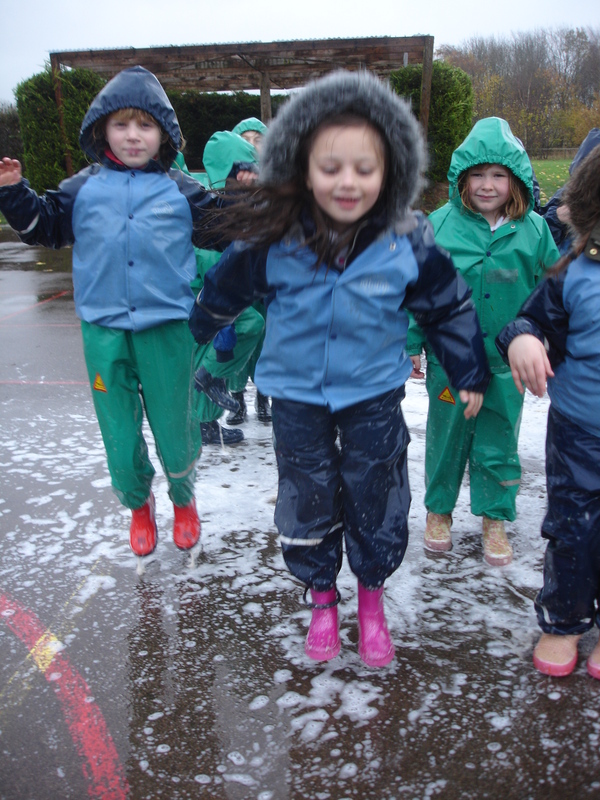 Us children were not bothered by the cold, it was the grown ups that were freezing, which is why there are not many photos! 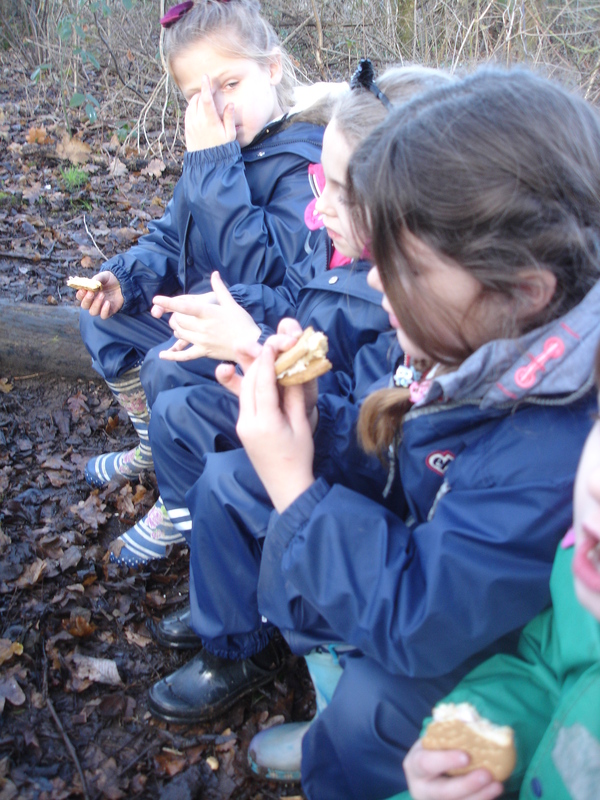 At the beginning of our session today, we all hid some raisins in the forest. 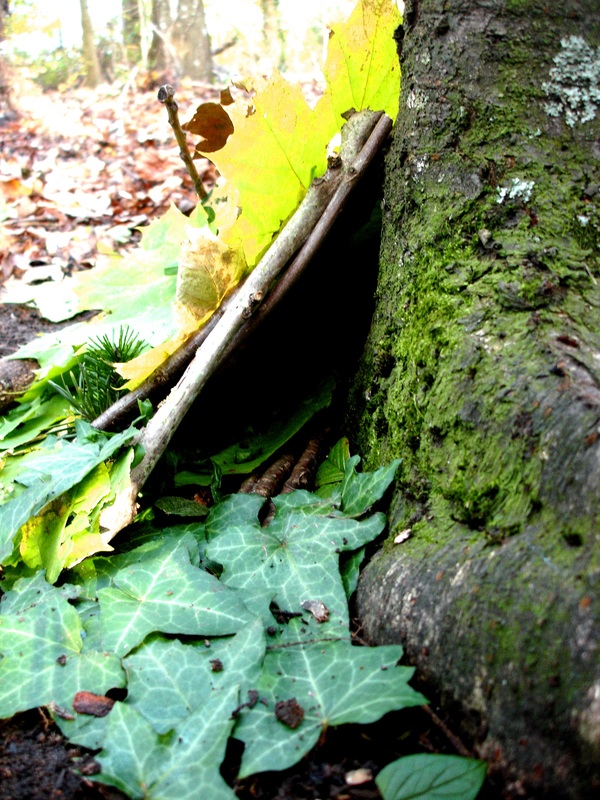 We were learning how squirrels hide their food in stores for the winter, they have to have good memories to remember where they are hidden. 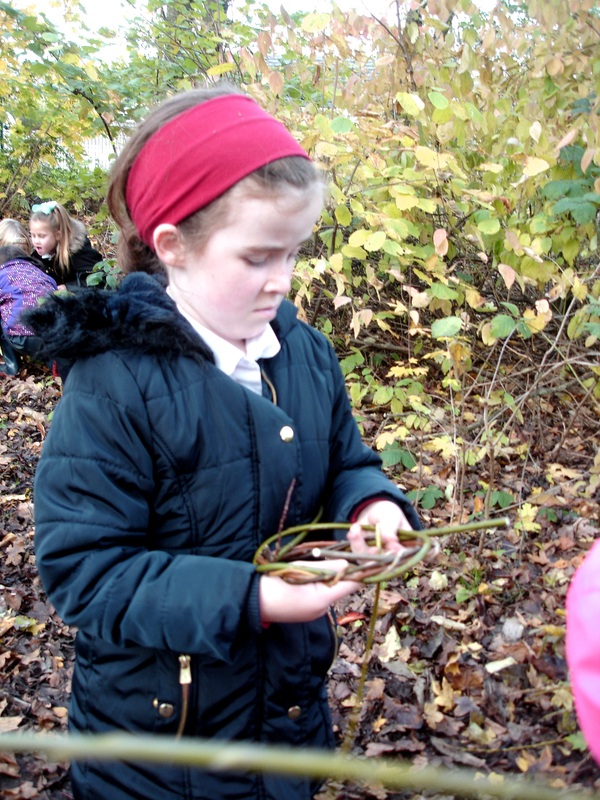 Ask us how many we found. 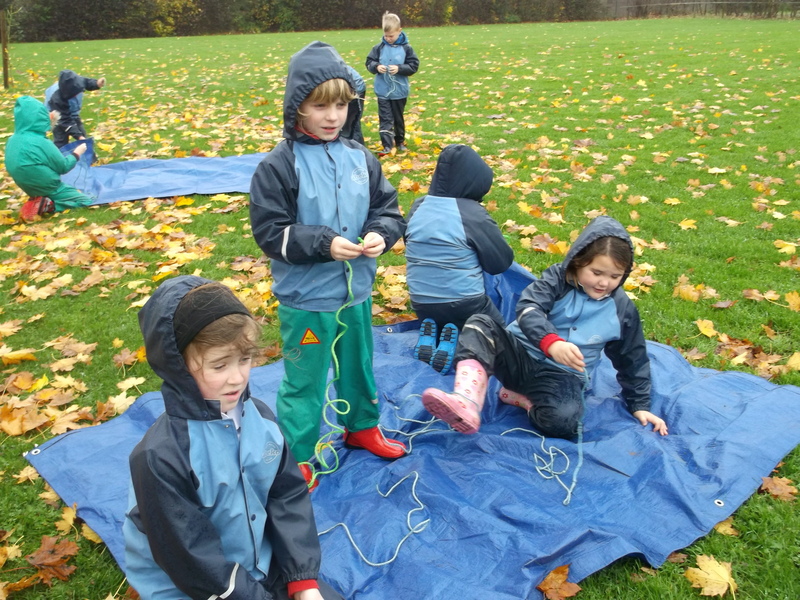 We spent the rest of the session making treasure catchers, this helped us to develop problem solving, fine motors skills and so much more! 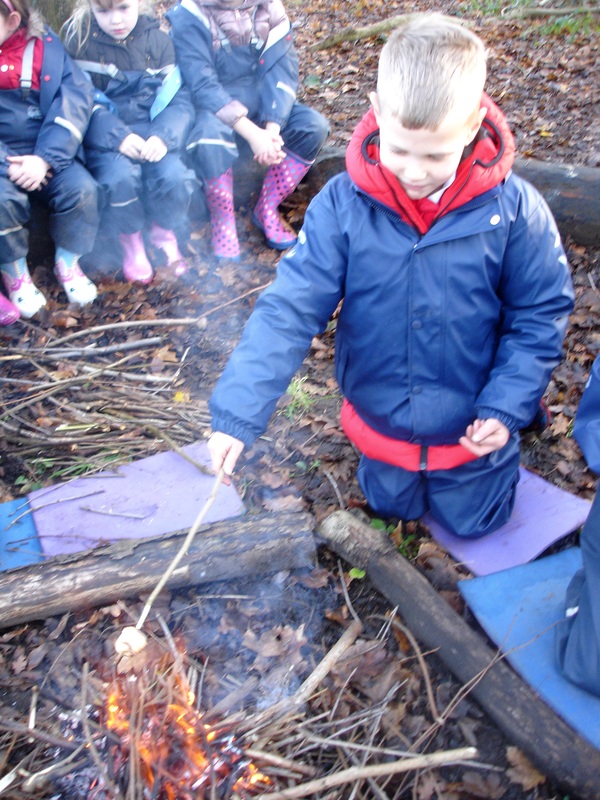 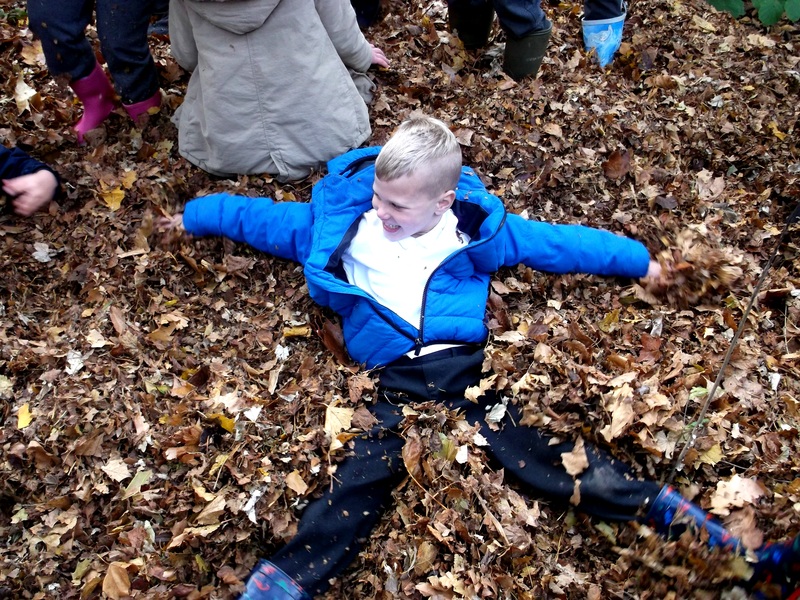 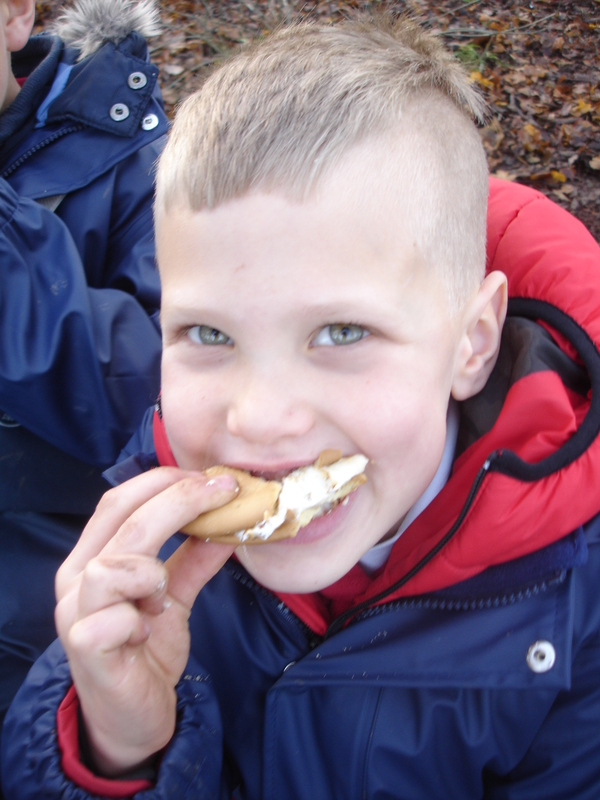 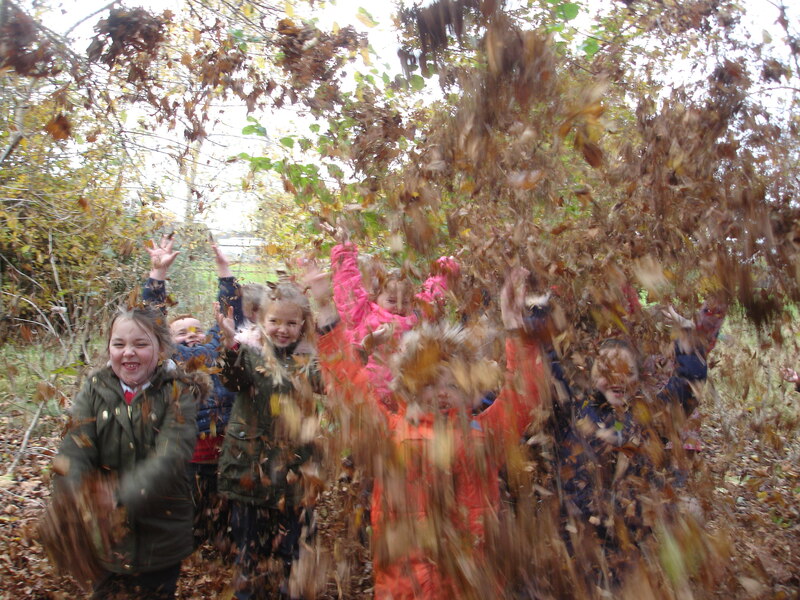 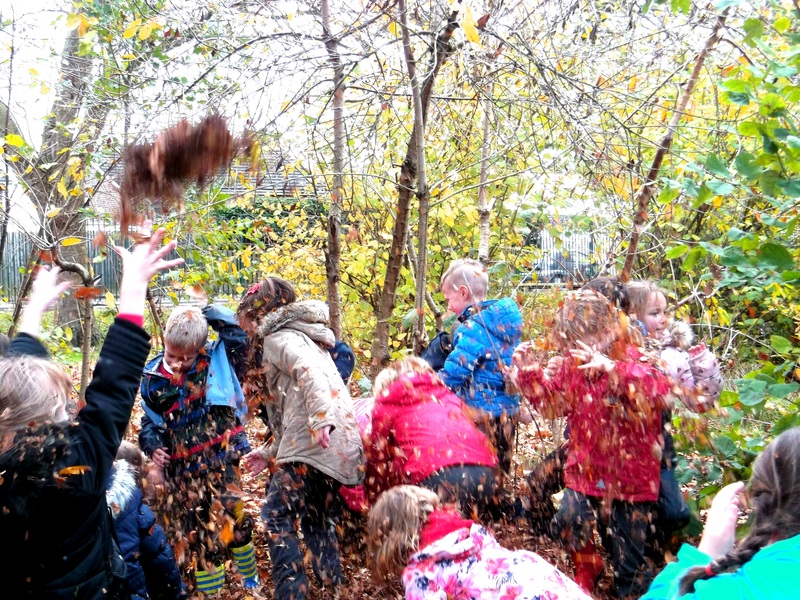 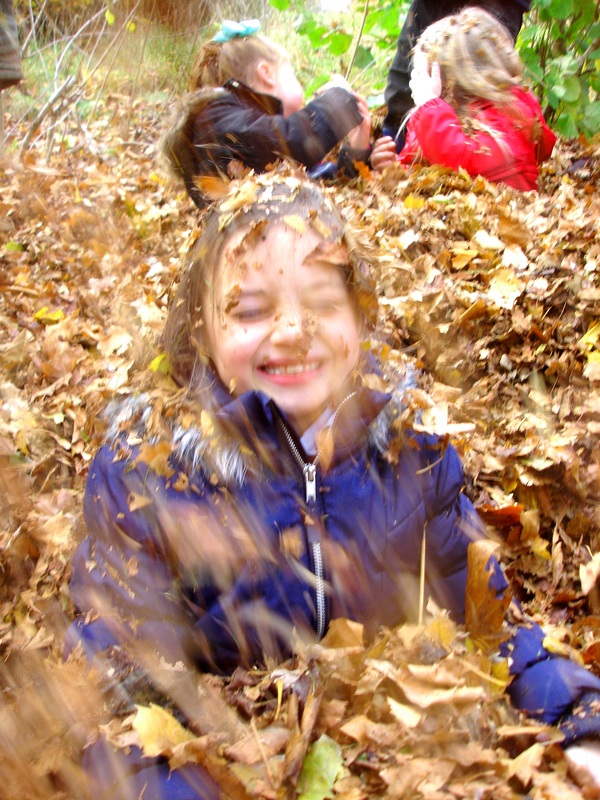 What a perfect way to finish our Forest School sessions!